Even when you feel completely happy at the Gersberg Alm – don't forget to explore our surroundings! No matter what the time of year, the Salzkammergut and the city of Salzburg have plenty of fun things to do on your holiday. From hikes and ski tours to city trips and museums, experience the many sides of Salzburg on your holiday at the Gersberg Alm. Imposing mountains, crystal clear lakes, majestic palaces and winding city streets: you will find a holiday paradise just outside the Gersberg Alm's front door. Stroll through the city streets lined with shops, pack your rucksack and conquer the mountains on foot or treat yourself to a concert in Salzburg. Is getting out into the fresh air on your holiday important to you? Where could that be more wonderful than in front of a backdrop of amazing mountains, lakes and forests! The choice is yours in both summer and in winter: hike to rustic chalets, feel the fresh winter air on a romantic sleigh ride or take a bike trip through Salzburg's idyllic nature. Are you a music lover? The world-famous Salzburg Festival, Jazz & The City, upmarket Mozart Week and performances at the Salzburg State Theatre offer unlimited listening pleasure. Or perhaps you prefer fine arts? 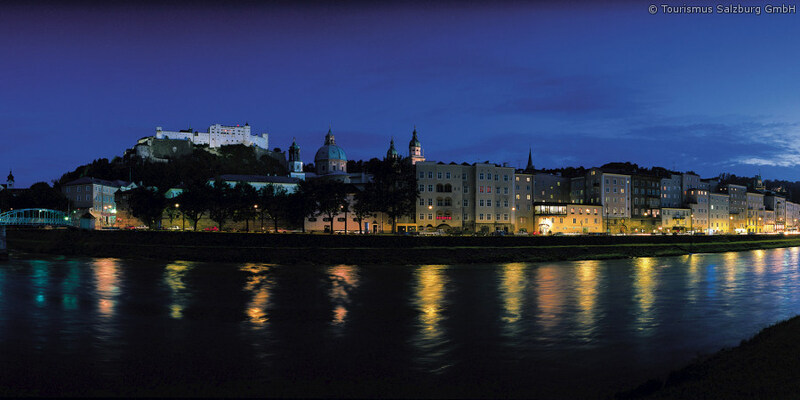 How about an art walk through Salzburg's many galleries? Shopaholic? You'll find many lovely shops and boutiques in Salzburg's old town and the Europark shopping centre and McArthur Glen Designer Outlet are the perfect place to take on shopping marathons. As you can see, Salzburg has something for everyone. As a guest of the Gersberg Alm, you will enjoy accommodation surrounded by nature yet so close to the city – and the picturesque Salzkammergut region is just a hop, skip and a jump away. Does this sound like the perfect holiday accommodation for you? Then send us your enquiry today!